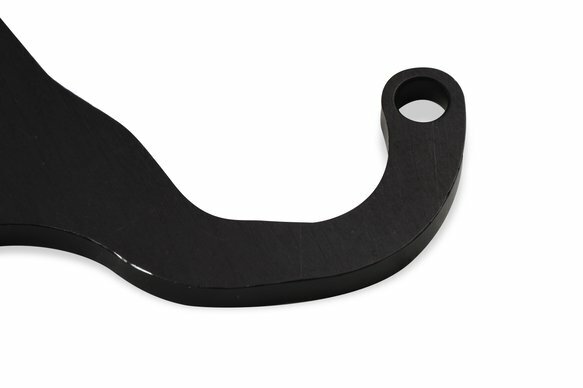 The mounting location lends itself to easy plumbing of inlet and outlet fittings and shortens the distance to the float bowls for optimum fuel pressure control. 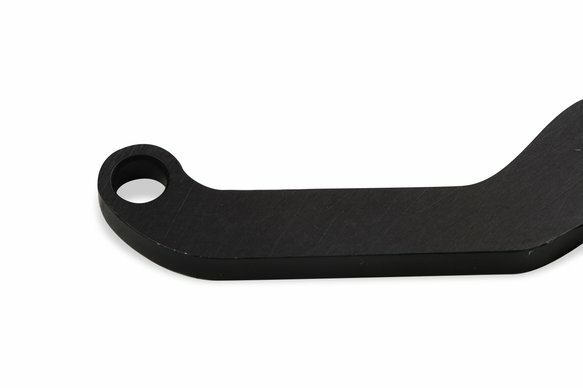 Designed to clear Double Pumper throttle linkage, electric and manual chokes, and other vacuum ports. 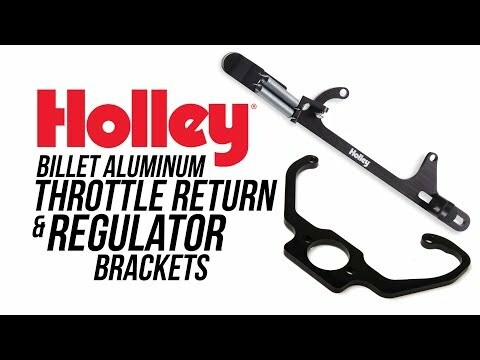 ***Bracket works with Holley style cast and billet aluminum fuel pressure regulators. 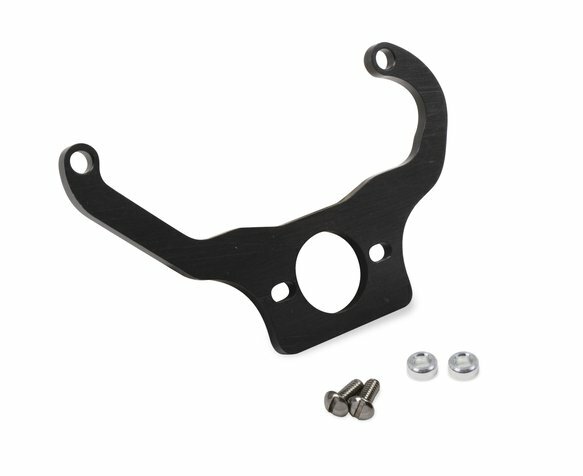 Black anodized, billet aluminum bracket that conveniently mounts a 12-803, 12-804, or 12-803BP as the billet 12-84x series fuel pressure regulator utilizing the passenger side carb studs on any 4500 style carburetor.